This is so true and I intend to do something about it. 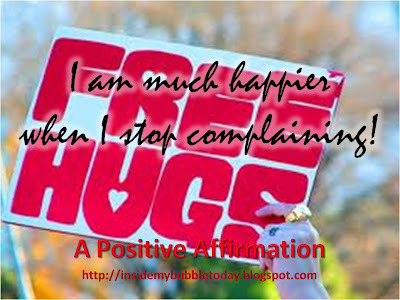 I have a thorn in my side and I have succumbed as a victim by complaining. It is ugly and on hindsight, it makes me feel guilty. It builds bad vibes and I do not want to affect others around me. I shall stop complaining!